Some ADT home security systems include motion sensors that detect movement, triggering the alarm. Adjusting the sensitivity of the alarm can help prevent false alarms due to movement of pets and can ensure the alarm picks up movements across the room. Adjusting the physical positioning of the sensor ensures as much of the room as possible is visible by the sensor. Motion sensors detect movement which triggers the alarm or lights. 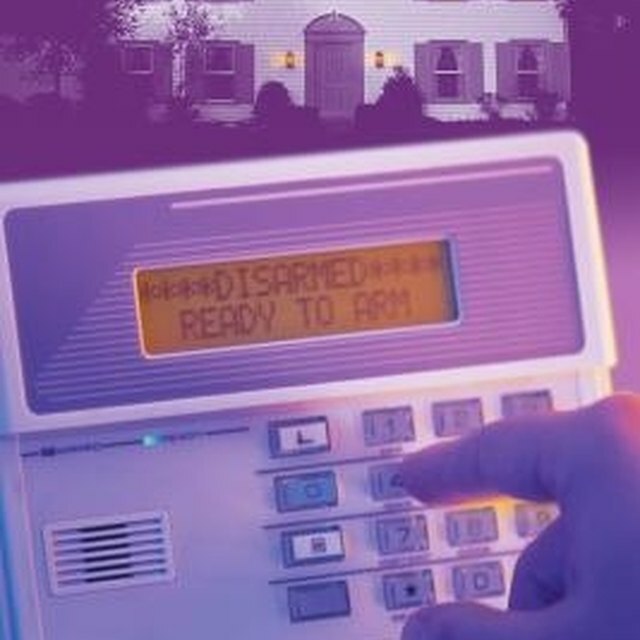 Let ADT know that you will be testing your alarm. Provide them with the time range (such as 1pm-3pm) that you'll be testing the alarm. This will prevent a false alarm. Position the ladder underneath the motion sensor you want to adjust. Climb up the ladder and inspect the motion sensor, looking for a small adjustment screw. Use the screwdriver to slowly turn the adjustment screw. Turning the screw towards the "-" sign will decrease the sensor's sensitivity while turning towards the "+" sign will increase the sensors sensitivity. Carefully grasp the front of the sensor with your hand and gently move the sensor up or down, or from left to right, to adjust the physical position of the sensor. Be careful not to pull too hard, as you could damage the connection or break the sensor mount. Climb off the ladder, arm the system and move around the room to test the sensitivity and positioning of the sensor. Make adjustments as needed. The sensor should detect all movement in the room if it is positioned at a good angle. This is crucial. If you cannot get the sensors set properly or one malfunctions, contact ADT to have them professionally adjust and fix the system. Use caution when standing on the ladder and never stand on the very top rung. Damage to your ADT system due to self-adjustment may void any warranties or covered repair services for the sensors or system.